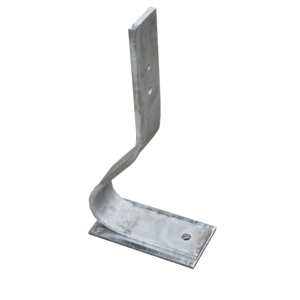 Spring buffer posts are the essential component of a flexible (soft) barrier system as opposed to the rigid system achieved with RSJ posts. 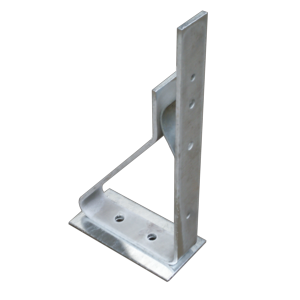 They have the advantage of putting less strain on the holding down bolts and concrete slab under impact than rigid posts, but you may need to allow more space to the rear of the barrier to allow for the extra deflection of the spring buffer posts, both dynamic and residual. 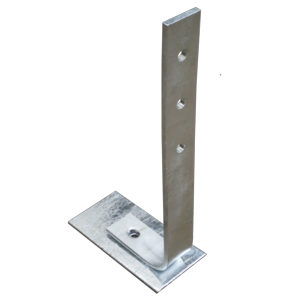 A simple L-shaped spring buffer post available as 76mm x 12mm or 100mm x 14mm profile. Fixing is with a single anchor bolt and the post will receive a bolt on hand rail extension if required. This is a very commonly used spring buffer post due to the reduced footprint of the system. This is achieved by the use of a kick back being incorporated into the design of the post. post will receive a bolt on hand rail extension if required. This is the profile of post that many people associate with the concept of spring barrier systems. It’s unique shape and inner spring give additional strength and help reduce the amount of deflection under impact. Fixing is with two anchor bolt and the post will receive a bolt on hand rail extension if required.